ANZ's latest Business Outlook survey shows that the recent improvement in business confidence levels "stalled" in February. The latest survey showed a 7-point drop in overall business confidence readings. A net 31% of respondents reported that they expect general business conditions to deteriorate in the year ahead. Poor levels of business confidence have been evident and a problem for the Coalition Government since it came into power in late 2017. Towards the end of last year overall confidence levels appeared to be improving. 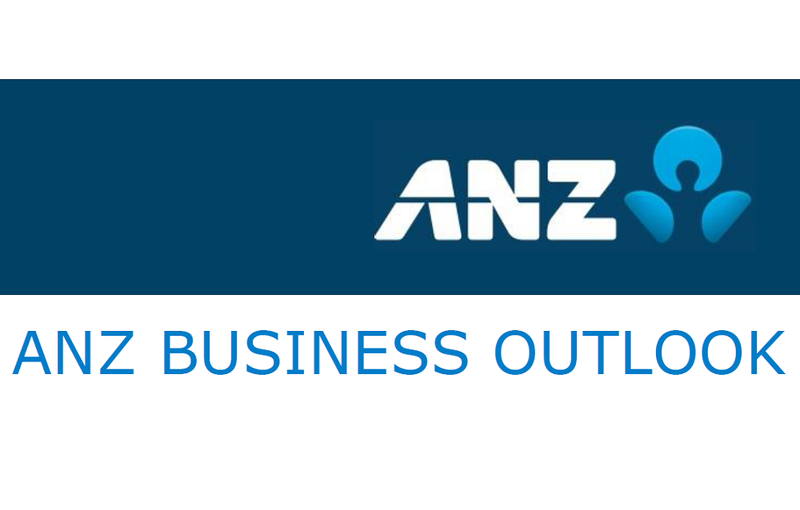 The ANZ Business Outlook survey is the most influential of the business surveys and is closely watched by other bank economists and the market. The latest ANZ survey shows that firms’ expectations for their own activity - the measure probably most watched by the market - eased 3 points to a net 11% expecting a lift. “Leading indicators such as business surveys and light traffic flows are suggesting that the New Zealand economy is running out of steam. Yet while Q3 GDP growth did disappoint at just 0.3% q/q, it is too soon to conclude that it is anything more than a pothole. ,” said ANZ Chief Economist, Sharon Zollner. “Anecdotally, the regional economy is booming, but there does seem to be a degree of wariness amongst firms. Increasing evidence of a global slowdown is likely playing a part, as well as the uncomfortable combination of elevated costs but limited ability to pass these costs on, which is impacting firms’ profitability. “It is disappointing that the bounce in ANZBO activity indicators seen towards the end of last year appears to be at risk of petering out. Clearly the economy is stretched at the moment, but it does appear that momentum has waned markedly over the last six months." Zollner said the ANZ economists continued to expect that the Reserve Bank will, as the year goes on, become less certain that core inflation will continue rising towards its explicit 2% target. "We are forecasting a cut in the Official Cash Rate in November." One particularly interesting aspect of the latest survey was a very sharp fall in businesses' expectations (with worst affected being those in the agricultural sector) in terms of availability of credit. Overall a net 38% of respondents expected availability of credit to be more difficult - which was double the net 19% expecting this in the previous survey. Zollner was asked if she thought the sharp drop in credit availability expectations could in any way be related to the Reserve Bank's current moves to seek much higher levels of capital requirements for banks. She said the credit expectations can move around quite a bit so she's wary of reading too much into this month’s fall. "It’s still higher than it was in November 2017 (-41). The big move was actually in 2016 – this move is small fry compared to that level shift. "If it drops into a new, lower range then I’d say it could likely be placed at the feet of the proposed capital changes. Agriculture is already the lowest sector for perceived ease of capital (-53, same as November after the December bounce didn’t last), and it will be hit particularly hard by the proposed changes because more capital needs to be held against lending to this sector. "Definitely a case of ‘watch this space’." ·A net 2% of firms are expecting to lift investment, down 2 points. ·Employment intentions fell 4 points to +3%. ·Profit expectations fell 5 points to a net 11% expecting profit to decline. No sector is positive. Construction is the least pessimistic (0%). Agriculture is still the most pessimistic but bounced sharply (to -18%, up from -48%). ·Expected availability of credit dropped sharply. A net 38% of businesses expect it to be tougher to get credit, reversing an improvement to net 19% in December. ·Firms’ pricing intentions lifted 2 points to +26%. Inflation expectations eased a touch from 2.15% to 2.06%. ·Construction intentions were weaker: commercial intentions fell 6 points to +4, while residential fell 29 points (also to +4). This data is volatile but residential intentions are trending down, while commercial intentions are back in the black after being negative in June-October last year. ·At a net 3%, the low level of export intentions is worrying, but the correlation with exports can be a bit hit and miss. It is possible global growth concerns are at play here. Keep the good work Labour, NZ 1st, and Green. Every NZers can be turned to your voters after passing the Zero Carbon Act. But wait, who's gonna work and pay tax??? This government really is doing a great job of screwing things up. And I say this as someone who has only ever voted Labour, with the exception of last time when I went NZ First. Come 2020 I think I'm going to waste my vote on ACT. Agree. The foreign buyer ban was a great initiative delivered by the government, but apart from that I have been underwhelmed by Labour, especially by the (non) performance of Twyford. If there was an election tomorrow, I honestly don't think I'd vote. We will have to avert the recession by dropping interest rates , until the next recession turns up then we will drop again, until someone realises that Central banks are part of the problem, there is to much malinvestment and they lift interest rates and we get growth after we sort out the mal investment. "The Central Bank narrative has collapsed. Private commercial banks create the money supply. And interest rates are NOT determined by the Central Banks, which simply follow the markets. Now what? A new, and potentially dangerous narrative is emerging..."
The prospect of CGT is also weighing on small business sentiment. Martin Devlin, emeritus professor of management: "Applying a CGT to small businesses will encourage many to simply walk away. What a disaster, in terms of fewer jobs, reduced community services and a disincentive to entrepreneurship"
As a small business owner I can honestly comment - what a load of crap. Why would I walk away from what I have ? Let's say Its worth 1.5 mill, but I have to pay tax on that, f#@k it, I'll walk away rather than sell it. The walk aways with a cgt will be the walk aways without one, marginal businesses with no future.